–an inspiring theme for quilts, which so often face up to the sky! We saw a lot of sky on our recent drive to Kansas City. How we look to the sky has changed a lot since Google Earth appeared. 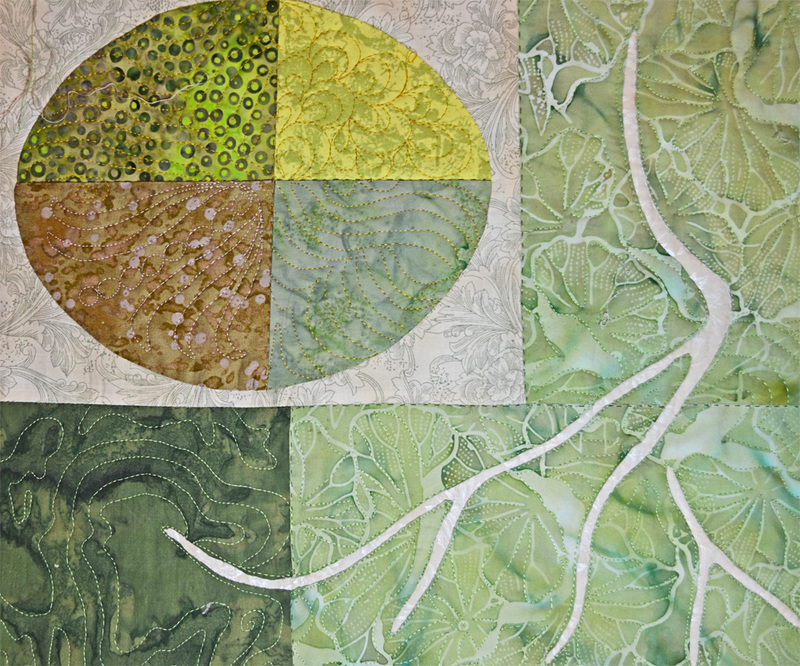 Here is a portion of a recent quilt using satellite imaging for the layout. Old map-makes always filled in the unknown areas with drawings and ornaments. For this quilt, the fabric patterns and choices of quilting stitches did the infilling.